99. The work of the Holy Spirit can be divided into three parts: God’s own work, the work of men being used, and the work on all those in the stream of the Holy Spirit. Among the three, God’s own work is to lead the entire era; the work of men who are used is to lead all the followers of God by being sent or receiving commissions after God’s own work, and these men are the ones who cooperate with God’s work; the work done by the Holy Spirit on those in the stream is to maintain all His own work, that is, to maintain the entire management and to maintain His testimony, while at the same time perfecting those who can be perfected. These three parts are the complete work of the Holy Spirit, but without the work of God Himself, the entire management work would stagnate. 100. The work in the stream of the Holy Spirit, no matter whether it is God’s own work or the work of men being used, it is the work of the Holy Spirit. The substance of God Himself is the Spirit, which can be called the Holy Spirit or the sevenfold intensified Spirit. Anyway, They are the Spirit of God. It is only that the Spirit of God is called differently during different eras. But Their substance is still one. Therefore, the work of God Himself is the work of the Holy Spirit; the work of the incarnate God is none less than the Holy Spirit at work. The work of men who are used is also the work of the Holy Spirit. It is only that the work of God is the complete expression of the Holy Spirit, and there is no difference, whereas the work of men being used is mixed with many human things, and it is not the direct expression of the Holy Spirit, let alone the complete expression. 101. The Holy Spirit not only works in certain men who are used by God, but even more in the church. He could be working in anyone. He may work in you for the present, and when you have experienced it, He may work in someone else next. Make haste to follow; the more closely you follow the present light, the more your life can mature and grow. No matter what manner of man he may be, so long as the Holy Spirit works in him, make sure to follow. Take in his experiences through your own, and you will receive even higher things. In so doing you will progress more quickly. This is the path of perfection for man and a way through which life grows. 102. All those who are within the stream of the Holy Spirit are possessed of the presence and discipline of the Holy Spirit, and those who are not within the stream of the Holy Spirit are under the command of Satan, and without any of the work of the Holy Spirit. People who are in the stream of the Holy Spirit are those who accept the new work of God, the ones who cooperate in the new work of God. If those who are within this stream are incapable of cooperating, and unable to put into practice the truth required by God during this time, then they will be disciplined, and at worst will be forsaken by the Holy Spirit. Those who accept the new work of the Holy Spirit, will live within the stream of the Holy Spirit, receive the care and protection of the Holy Spirit. Those who are willing to put the truth into practice are enlightened by the Holy Spirit, and those who are unwilling to put the truth into practice are disciplined by the Holy Spirit, and may even be punished. Regardless of what kind of person they are, provided that they are within the stream of the Holy Spirit, God will take responsibility for all those who accept His new work for the sake of His name. Those who glorify His name and are willing to put His words into practice will receive His blessings; those who disobey Him and do not put His words into practice will receive His punishment. 103. The Holy Spirit works on different people based on their inherent substance and does not make demands on them beyond their inherent substance, nor does He work on them beyond their actual caliber. So, the work of the Holy Spirit on man allows people to see the substance of the object of the work. The inherent substance of man does not change; the actual caliber of man is limited. Whether the Holy Spirit uses people or works on people, the work is always in accordance with the limitations of people’s caliber so that they may benefit from it. When the Holy Spirit works on men being used, both their gifts and actual caliber are brought into play and are not reserved. Their actual caliber is all exerted to serve the work. It can be said that He works by using the available parts of men in order to achieve the working results. By contrast, work done in the incarnate flesh is to directly express the work of the Spirit and is not mixed with the human mind and thoughts, unreachable by man’s gifts, man’s experience or man’s innate condition. 104. No matter how the Holy Spirit works, whether He works on man or in God incarnate, it is always the workers expressing what they are. Although it is the Holy Spirit who works, the work is founded on what man inherently is, because the Holy Spirit does not work without foundation. In other words, the work is not done out of nothing, but is always in accordance with actual circumstances and real conditions. It is in this way only that man’s disposition can be transformed, that his old notions and old thoughts can be changed. 105. Although the Holy Spirit works in many different ways and according to many principles, no matter how the work is done or on what kind of people, the substance is always different, and the work He does on different people all has principles and all can represent the substance of the object of the work. This is because the work of the Holy Spirit is quite specific in scope and quite measured. 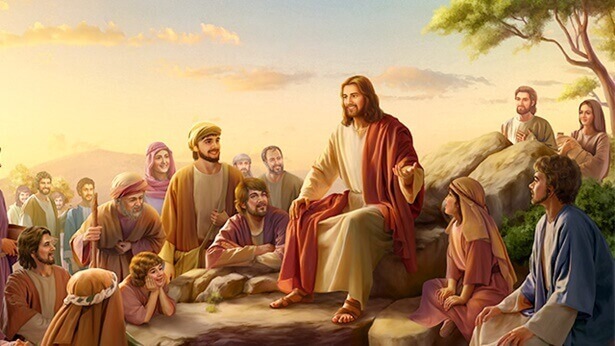 The work done in the incarnate flesh is not the same as the work conducted on people, and the work also varies depending on the different caliber of people. Work done in the incarnate flesh is not done on people, and in the incarnate flesh He does not do the same work as that done on people. In a word, no matter how He works, work on different objects is never the same, and the principles by which He works differ in accordance with the state and nature of different people. 106. The path that the Holy Spirit takes in people is to first pull their hearts out of all people, events, and things, and into the words of God so that in their hearts they all believe that God’s words are utterly without doubt and completely true. 107. God having spoken so much, you should do your utmost to eat and drink of His word, and then, unawares, you will come to understand, and the Holy Spirit will enlighten you unawares. When the Holy Spirit enlightens man, it is often without man’s awareness. He enlightens and guides you when you thirst and seek. The principle by which the Holy Spirit works is centered on the word of God of which you eat and drink. All those who place no importance on the word of God and always bear a different kind of attitude toward His word, in their befuddlement thinking it a matter of indifference whether they read His word or not, are those who do not possess reality. Neither the Holy Spirit’s work nor His enlightenment can be seen in such a person. 108. The work of the Holy Spirit is a form of proactive guidance and positive enlightenment. It does not allow people to be passive. It brings them solace, gives them faith and resolve and it enables them to pursue being made perfect by God. When the Holy Spirit works, people are able to actively enter; they are not passive or forced, but are proactive. When the Holy Spirit works, people are glad and willing, and they are willing to obey, and happy to humble themselves, and even though they are pained and fragile inside, they have the resolve to cooperate, they suffer gladly, they are able to obey, and they are untainted by human will, untainted by the thinking of man, and are certainly untainted by human desires and motivations. When people experience the work of the Holy Spirit, they are especially holy inside. Those who are possessed of the work of the Holy Spirit live out the love of God, the love of their brothers and sisters, and delight in the things that delight God, and loathe the things that God loathes. People who are touched by the work of the Holy Spirit have normal humanity, and they are possessed of humanity and constantly pursue the truth. When the Holy Spirit works within people, their conditions become better and better, and their humanity becomes more and more normal, and though some of their cooperation may be foolish, their motivations are right, their entry is positive, they do not try to interrupt, and there is no malevolence within them. 109. When the Holy Spirit works to enlighten people, He generally gives them a knowledge of God’s work, and of their true entry and true state, and He also gives them resolve, allows them to understand God’s eager intention and His requirements for man today, He gives them the resolve to open up every way. Even when people undergo bloodshed and sacrifice they must act for God, and even when they meet with persecution and adversity, they must still love God, and have no regrets, and must stand testimony for God. Such resolve is the stirrings of the Holy Spirit, and the work of the Holy Spirit—but know that you are not possessed of such stirrings at every passing moment. Sometimes at meetings you can feel extremely moved and inspired and you give great praise and you dance. You feel that you have an incredible understanding of what others are fellowshiping, you feel brand new inside, and your heart is perfectly clear without any feeling of emptiness—this all pertains to the work of the Holy Spirit. If you are someone who leads, and the Holy Spirit gives you exceptional enlightenment and illumination when you go down to the church to work, making you incredibly earnest, responsible and serious in your work, this pertains to the work of the Holy Spirit. 110. The work of the Holy Spirit is especially normal, and as He works in people they still have troubles, they still cry, they still suffer, they are still weak, and there is still much that is unclear to them, yet in such a state they are able to stop themselves sliding backward, and can love God, and although they cry and are distressed inside, they are still able to praise God; the work of the Holy Spirit is especially normal, and not the slightest bit supernatural. Most people believe that, as soon as the Holy Spirit begins to work, changes occur in people’s state and the essential things of them are removed. Such beliefs are fallacious. When the Holy Spirit works within man, the passive things of man are still there and his stature remains the same, but he has the illumination and enlightenment of the Holy Spirit, his state is more proactive, the conditions within him are normal, and he changes rapidly. 111. When the Holy Spirit enlightens man to understand the truth, it is often in a clear and distinct manner, without context. That is, He does not incorporate the difficulties of man into this revelation, and rather directly reveals the truth. When man encounters difficulties in entry, man then incorporates the enlightenment of the Holy Spirit, and this becomes the actual experience of man. 112. All of the Holy Spirit’s work is normal, and real. When you read God’s words and pray, inside you are bright and steadfast, the external world cannot interfere with you, inside you are willing to love God, are willing to engage with positive things, and you detest the evil world; this is living within God, and is not, as people say, enjoying so much—such talk is not real. 113. The work of the Holy Spirit is all about enabling people to obtain benefits; it is all about edifying people; there is no work that does not benefit people. No matter whether the truth is deep or shallow, and no matter what the caliber of those who accept the truth is like, whatever the Holy Spirit does, it is all beneficial to people. 114. What effects are achieved by the work of the Holy Spirit? You can be foolish, and there can be no differentiation within you, but the Holy Spirit has but to work for there to be faith in you, for you to always feel that you can’t love God enough, for you to be willing to cooperate, to be willing to cooperate no matter how great the difficulties ahead. Things will happen to you and it won’t be clear to you whether they come from God or from Satan, but you will be able to wait, and you will be neither passive or remiss. This is the normal work of the Holy Spirit. When the Holy Spirit works within them, people still encounter real difficulties, sometimes they cry, and sometimes there are things that they can’t overcome, but this is all a stage of the ordinary work of the Holy Spirit. Although they do not overcome those things, and although, at the time, they are weak and make complaints, afterward they are still able to love God with absolute faith. Their passiveness cannot stop them having normal experiences, and regardless of what other people say, and how they attack them, still they are able to love God. During prayer, they always feel that they used to be so indebted to God, and they resolve to satisfy God and renounce the flesh when they encounter such things again. This strength shows there is the work of the Holy Spirit within them, and this is the normal state of the work of the Holy Spirit. 115. The things that arise from God cause you to become ever clearer about visions, and they cause you to get closer and closer to God, earnestly sharing love with brothers and sisters; you are capable of showing consideration toward God’s burden, and your God-loving heart does not abate; there is a road ahead for you to walk. 116. That which comes from the enlightenment of the Holy Spirit is not forced upon you, but is especially natural. If you follow it, you will have the truth, and if you don’t, then afterward there will be reproach. If it is the enlightenment of the Holy Spirit, then nothing you do will be interfered with or constrained, you will be set free, there will be a path to practice in your actions, and you will not be subject to any restraints, and be able to act upon the will of God. 117. If it is the work of the Holy Spirit, man becomes ever more normal, and his humanity becomes ever more normal. Man has an increasing knowledge of his disposition, which has been corrupted by Satan, and of the essence of man, and he has an ever greater longing for the truth. That is to say, the life of man grows and grows, and the corrupt disposition of man becomes capable of more and more changes—all of which is the meaning of God becoming the life of man. 118. Right now, there is a portion of people whose conditions are getting better and better. The more the Holy Spirit works the more confidence they have, and the more they experience the more they feel the profound mystery of God’s work. The deeper they enter in, the more they understand. They feel that God’s love is so great, and they feel steady and enlightened inside. They have an understanding of God’s work. These are the people in whom the Holy Spirit is working. 119. 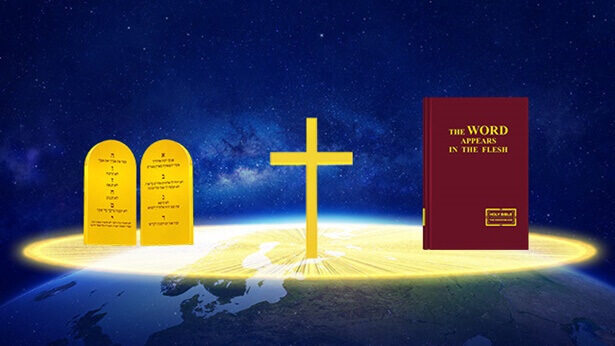 If you pay attention to living in God’s words and fellowship more about the truth to gain the enlightenment and illumination of the Holy Spirit, then those religious conceptions, self-rightness and self-importance will all disappear, and then you will know how to spend for God, know how to love God, and how to satisfy God. Those things outside God are then unconsciously forgotten. 120. When, in daily life, people do not oppose God, or rebel against God, do not do things that are at odds with the management of God, and do not interfere with the work of God, in each one of them the Spirit of God works to a greater or lesser extent, and touches them, enlightens them, gives them faith, gives them strength, and moves them to enter proactively, not being lazy or coveting the enjoyments of the flesh, willing to practice the truth, and longing for the words of God—all this is work that comes from the Holy Spirit. 121. When people’s conditions are normal, their spiritual lives and their lives in the flesh are normal, and their reason is normal and orderly; generally what they experience and come to know within themselves at this time can be said to come from being touched by the Holy Spirit (having insights or possessing some shallow knowledge when you eat and drink the words of God, or being faithful when things happen to you, or having the strength to love God when things happen—these are all of the Holy Spirit). The Holy Spirit’s work in man is especially normal; man is incapable of feeling it, and it seems to be through man himself—but in fact it is the work of the Holy Spirit. 122. The Holy Spirit gives people a feeling. After reading the words of God, in their hearts they are steadfast, and at peace, while those who do not obtain God’s words feel empty. Such is the power of God’s words—people have to read them, after reading them they are nourished, and they can’t do without them. It’s like when people take opium: It gives them strength, and without it they feel desperate, and have no strength. Such is the tendency among people today. 123. The Holy Spirit has a path to walk in each person, and gives each person chances to be perfected. Through your negativity you are made to know your own corruption, and then through throwing off negativity you will find a path to practice, and this is the perfection of you. Further, through the continuous guidance and illumination of some positive things inside of you, you will proactively fulfill your function and grow in insight and gain discernment. When your conditions are good, you are especially willing to read the word of God, and especially willing to pray to God, and can relate the sermons you hear to your own states. At such times God enlightens and illuminates you within, making you realize some things of the positive aspect. This is perfection of you in the positive aspect. In negative states, you are weak and negative, and feel that you don’t have God, yet God illuminates you, helping you find a path to practice. Coming out of this is attainment of perfection in the negative aspect. 124. People who have been touched by God inside are inspired when they hear the communion of others; if a person’s heart remains totally unmoved when they hear inspiring words, then this proves that the work of the Holy Spirit is not within them. There is no yearning inside them, which proves that they have no resolve, and thus they are without the work of the Holy Spirit. If a person has been touched by God, he will have a reaction when he hears the words of God; if he has not been touched by God, then he has not engaged with the words of God, they bear no relation to him, and he is incapable of being enlightened. Those who have heard the words of God and had no reaction are people who have not been touched by God—they are people who are without the work of the Holy Spirit. All those who are able to accept the new light are touched, and possessed of the work of the Holy Spirit. 125. Having the presence of the Holy Spirit can only maintain people’s normal existence, but the Holy Spirit only works at certain times. For example, when you are one of those who work for God, when you go to the churches the Holy Spirit enlightens you with some words, and this is when the Holy Spirit is working. Sometimes you are reading and the Holy Spirit enlightens you with some words, and you find yourself especially able to hold them up against your own experiences, giving you a greater knowledge of your own state; you have been enlightened, and this is also the work of the Holy Spirit. Sometimes, as I speak and you listen below, you are able to measure My words against your own states, sometimes you are touched or inspired, and this is the work of the Holy Spirit. 126. The work of the Holy Spirit is normal and real, the Holy Spirit works in man according to the rules of the normal life of man, and He enlightens and guides in people according to the actual pursuit of normal people. When the Holy Spirit works in people, He guides and enlightens them according to the needs of normal people, He provides for them based on their needs, and He positively guides and enlightens them based upon what they lack, and upon their deficiencies; when the Holy Spirit works, this work is in consonance with the rules of the normal life of man, and it is only in real life that people are able to see the work of the Holy Spirit. If, in their everyday lives, people are in a positive state and have a normal spiritual life, then they are possessed of the work of the Holy Spirit. In such a state, when they eat and drink the words of God they have faith, when they pray they are inspired, when something happens to them they aren’t passive, and as it is happening to them they are able to see the lessons that God requires them to learn, and they are not passive, or weak, and although they have real difficulties, they are willing to obey all the arrangements of God. 128. God indeed does a lot of work on people, sometimes trying them, sometimes creating environments to temper them, and sometimes speaking words to guide them and amend their shortcomings. Sometimes the Holy Spirit leads people to environments prepared by God for them to unknowingly discover many things that they lack. Through what people say and do, the way that people treat others and deal with things, without their knowing it, the Holy Spirit enlightens them to understand many things that were not understood before, allowing them to comprehend many things or people more thoroughly, allowing them to see into many things of which they were previously unaware. 130. Sometimes He gives you a certain type of feeling—you lose your inner enjoyment, you lose God’s presence, and you are in darkness. This is a type of refinement. Whenever you do something it goes awry or you hit a wall. This is God’s discipline. You may do something and not have any particular feeling about it, and others don’t know either, but God knows. He will not let you go, and He will discipline you. The work of the Holy Spirit is very detailed. He very carefully observes people’s every word and action, their every act and move, and their every thought and idea so that people can gain internal awareness of these things. You do something once and it goes awry, you do it again and it still goes awry, and gradually you will come to understand the work of the Holy Spirit. Through many times of being disciplined, you will know what to do to be in line with God’s will and what is not in line with His will. In the end, you will have accurate responses to the Holy Spirit’s guidance from within you. 131. There is one condition for the work of the Holy Spirit within people. As long as they thirst and seek and are not half-hearted or doubtful about God’s actions, and they are able to uphold their duty at all times, only this way can they gain the work of the Holy Spirit. 133. If your heart can be poured into God and keep quiet before Him, then you will have the opportunity and the qualifications to be used by the Holy Spirit, to receive the enlightenment and illumination of the Holy Spirit, and even more, you will have the opportunity for the Holy Spirit to make up for your shortcomings. When you give your heart to God, you can enter more deeply into the positive aspect and be on a higher plane of insight; in the negative aspect, you will have more understanding of your own faults and shortcomings, you will be more eager to seek to satisfy God’s will, and you will not be passive, and will actively enter in. This will mean that you are a correct person. 134. The Holy Spirit works by this principle: Through people’s cooperation, through them actively praying, searching and coming closer to God, results can be achieved and they can be enlightened and illuminated by the Holy Spirit. It is not the case that the Holy Spirit acts unilaterally, or that man acts unilaterally. Both are indispensable, and the more that people cooperate, and the more they pursue the attainment of the standards of God’s requirements, the greater the work of the Holy Spirit. Only people’s real cooperation, added to the work of the Holy Spirit, can produce real experiences and the substantive knowledge of God’s words. Gradually, through experiencing in this way, a perfect person is ultimately produced. 136. Time is indeed pressing now. The Holy Spirit uses many different ways to lead us into God’s words and to be equipped with all the truth, to be sanctified, to have a true closeness and association with Me; you are not permitted any room to choose. The work of the Holy Spirit is without emotion and has no regard for the kind of person you are. So long as you are willing to search and follow—not to give excuses, not to argue over your own gains and losses but to search with a hunger and a thirst for righteousness, then I will enlighten you. Regardless of how foolish and ignorant you are, I do not see such things. I look to see how hard you work in the positive aspect. If you still hold fast to the conception of self, turning circles in your own little world, then I think you are in danger…. 137. God works in those who pursue and treasure His words. The more you treasure God’s words, the more His Spirit will work in you. The more a person treasures God’s words, the greater his chance of being perfected by God. God perfects those who truly love Him. He perfects those whose hearts are at peace before Him. If you treasure all of God’s work, if you treasure God’s enlightenment, if you treasure God’s presence, if you treasure God’s care and protection, if you treasure how God’s words become your reality and provision for your life, you are most after God’s heart. If you treasure God’s work, if you treasure all the work that He has done upon you, He will bless you and cause all that is yours to multiply. 138. Those who love God are all people who seek life, that is, people who seek the truth and people who truly want God; they all have the enlightenment of the Holy Spirit and have been moved by Him. They are all able to be guided by God. 139. Today there are some evil spirits who work through supernatural things to deceive man; that is nothing but imitation on their part, to deceive man through work that is not presently done by the Holy Spirit. Many evil spirits imitate the working of miracles and healing of sickness; these are nothing but the work of the evil spirits, for the Holy Spirit no longer does such work in the present day, and all those who imitated the work of the Holy Spirit from that time onward—they are evil spirits indeed. All the work carried out in Israel at that time was work of a supernatural nature, only the Holy Spirit does not now work in such a manner, and any more of such work is the doing of Satan, the disturbance of Satan, and comes from evil spirits. But you cannot say that whatsoever is supernatural comes from evil spirits—this would depend on the age of God’s work. 140. If, during the present day, there is to emerge a person who is able to display signs and wonders, and can cast out demons, and heal the sick, and perform many miracles, and if this person claims that they are Jesus who has come, then this would be the counterfeit of evil spirits, and their imitation of Jesus. Remember this! God does not repeat the same work. Jesus’ stage of work has already been completed, and God will never again undertake that stage of work. … If, during the last days, God still displayed signs and wonders, and still cast out demons and healed the sick—if He did exactly the same as Jesus—then God would be repeating the same work, and the work of Jesus would have no significance or value. Thus, God carries out one stage of work in every age. Once each stage of His work has been completed, it is soon imitated by evil spirits, and after Satan begins to follow on the heels of God, God changes to a different method; once God has completed a stage of His work, it is imitated by evil spirits. You must be clear about these things. 141. There are some who are possessed by evil spirits and cry out vociferously, “I am God!” Yet, in the end, they are unable to stand fast, for they are wrong in what they represent. They represent Satan, and the Holy Spirit pays them no heed. However highly you exalt yourself or however strongly you cry out, you are still a created being and one that belongs to Satan. 142. If you say the Holy Spirit is always working within you, that you are enlightened by God and touched by the Holy Spirit at every moment, and gain new knowledge all the time, then this is not normal. It is extremely supernatural! Without a shadow of a doubt, such people are evil spirits! Even when the Spirit of God comes into the flesh, there are times when He must rest, and must eat—to say nothing of you. Those who have been possessed by evil spirits seem to be without the weakness of the flesh. They are able to forsake and give up everything, they are dispassionate, capable of enduring torment, they do not feel the slightest fatigue, as if they have transcended the flesh. Is this not extremely supernatural? The work of the evil spirit is supernatural, and these things are unattainable by man. Those who cannot differentiate are envious when they see such people, and say that their belief in God is so strong, and so good, and that they are never weak. In fact, this is the manifestation of the work of the evil spirit. 143. In My plan, Satan has ever snapped at the heels of every step, and, as the foil of My wisdom, has always tried to find ways and means to disrupt My original plan. 144. The manifestations of the great red dragon are resistance to Me, lack of understanding and comprehension of the meanings of My words, frequent persecution of Me, and seeking to use schemes to interrupt My management. Satan is manifested as follows: struggling with Me for power, wanting to possess My chosen people, and releasing negative words to deceive My people. … The great red dragon I speak of is not a big red dragon; rather it is the evil spirit in opposition to Me, for which the “great red dragon” is a synonym. So all the spirits outside of the Holy Spirit are evil spirits, and can also be said to be offspring of the great red dragon. This should all be crystal clear to everyone. 145. What work comes from Satan? In the work that comes from Satan, the visions in people are vague and abstract, and they are without normal humanity, the motivations behind their actions are wrong, and although they wish to love God, there are always accusations within them, and these accusations and thoughts are always interfering within them, constraining the growth of their life, and stopping them from having normal conditions before God. Which is to say, as soon as there is the work of Satan within people, their hearts can’t be at peace before God, they don’t know what to do with themselves, the sight of an assembly makes them want to run away, and they are unable to close their eyes when others pray. The work of evil spirits wrecks the normal relationship between man and God, and upsets people’s previous visions and the path that their life has entered upon, in their hearts they can never draw close to God, things always happen that cause disruption to them and enshackle them, and their hearts cannot find peace, leaving no strength to their love of God, and making their spirits sink downward. Such are the manifestations of the work of Satan. The work of Satan is manifested in the following: being unable to stand your ground and stand witness, causing you to become someone who is at fault before God, and who has no faithfulness toward God. At the interference from Satan, you lose the love and loyalty toward God within you, you are stripped of a normal relationship with God, you do not pursue the truth, or the improvement of yourself, you regress, and become passive, you indulge yourself, you give free rein to the spread of sin, and are not hateful of sin; furthermore, the interference of Satan makes you dissolute, it causes God’s touch to disappear within you, and makes you complain about God and oppose Him, leading you to question God, and there is even the risk of you leaving God. All this is of the work of Satan. 146. When people’s state is not normal, they are forsaken by the Holy Spirit, there is grumbling within them, their motivations are wrong, they are lazy, they indulge in the flesh, and their hearts rebel against the truth, and all of this comes from Satan. When people’s conditions are not normal, when they are dark inside and have lost their normal reason, have been forsaken by the Holy Spirit, and are unable to feel God within themselves, this is when Satan is working within them. 147. The work of the Holy Spirit is proactive progress, while the work of Satan is regression and passivity, disobedience toward God, opposition to God, loss of faith in God, and unwillingness to even sing songs or get up and dance. … The work of Satan brings many things that cause interference to you, it makes you unwilling to pray, too lazy to eat and drink the words of God, and undisposed to live the life of the church, and it estranges you from the spiritual life. 149. The things that arise from Satan cause you to lose visions and all you had before is gone; you become estranged from God, you have no love for brothers and sisters and you have a hateful heart. You become desperate, you no longer wish to live the church life, and your God-loving heart is no more. This is Satan’s work and is also the consequence brought about by the work of evil spirits. 150. In what situations does Satan interfere? When your conditions are not normal, when you have not been touched by God, and are without the work of God, and you are dry and barren inside, when you pray to God but grasp nothing, and eat and drink the words of God but are not enlightened or illuminated—at such times it is easy for Satan to work within you. In other words, when you have been abandoned by the Holy Spirit and you cannot feel God, then many things happen to you that come from the temptation of Satan. 151. Satan works at the same time as the Holy Spirit works, and interferes in man at the same time as the Holy Spirit touches the inside of man; at such times, however, the work of the Holy Spirit takes the leading position, and people whose conditions are normal can triumph, which is the triumph of the work of the Holy Spirit over the work of Satan. Yet when the Holy Spirit works, there is very little work of Satan; when the Holy Spirit works there is still a disobedient disposition within people, and all that was originally in them is still there, but with the work of the Holy Spirit it is easy for people to know the essential things of them and their rebellious disposition toward God—although they can only rid themselves of them during gradual work. 152. Distinguishing between the true way and the false way requires several aspects of basic knowledge, the most fundamental of which is to tell whether or not there is the work of the Holy Spirit. For the substance of man’s belief in God is the belief in the Spirit of God, and even his belief in God incarnate is because this flesh is the embodiment of the Spirit of God, which means that such belief is still the belief in the Spirit. There are differences between the Spirit and the flesh, but because this flesh comes from the Spirit, and is the Word become flesh, thus what man believes in is still the inherent substance of God. And so, in distinguishing whether or not it is the true way, above all you must look at whether or not there is the work of the Holy Spirit, after which you must look at whether or not there is the truth in this way. This truth is the life disposition of normal humanity, which is to say, that which was required of man when God created him in the beginning, namely, all of normal humanity (including human sense, insight, wisdom, and the basic knowledge of being man). That is, you need to look at whether or not this way takes man into a life of normal humanity, whether or not the truth that is spoken of is required according to the reality of normal humanity, whether or not this truth is practical and real, and whether or not it is most timely. If there is truth, then it is able to take man into normal and real experiences; man, furthermore, becomes ever more normal, man’s human sense becomes ever more complete, man’s life in the flesh and the spiritual life become ever more orderly, and man’s emotions become ever more normal. This is the second principle. There is one other principle, which is whether or not man has an increasing knowledge of God, whether or not experiencing such work and truth can inspire a love of God in him, and bring him ever closer to God. In this can be measured whether or not it is the true way. Most fundamental is whether this way is realistic rather than supernatural, and whether or not it is able to provide the life of man. If it conforms to these principles, the conclusion can be drawn that this way is the true way. 153. On earth, all manner of evil spirits are endlessly on the prowl for a place to rest, are ceaselessly searching for the corpses of men to eat up. My people! You must remain inside My care and protection. Never behave dissolutely! Never behave recklessly! Rather, offer up your loyalty in My house, and only with loyalty can you mount a countercharge against the devil’s cunning. Under no circumstances must you behave as in the past, doing one thing before My face and another behind My back—that way you are already beyond redemption. … What Satan needs is precisely a foul and filthy place; the more hopelessly irredeemable, and the more debauched you are, refusing to submit to restraint, the more will unclean spirits avail themselves of any opportunity to infiltrate. Once you have arrived at this pass, your loyalty will be but idle chatter, without any reality, and your resolution will be eaten up by unclean spirits, to be turned into disobedience or Satan’s wiles, and used to disrupt My work. Thereat I will smite you to death whenever and wherever I please.